US intelligence agencies are finalizing a plan to eliminate North Korean leader Kim Jong-un, an anonymous high-level Pentagon source said. 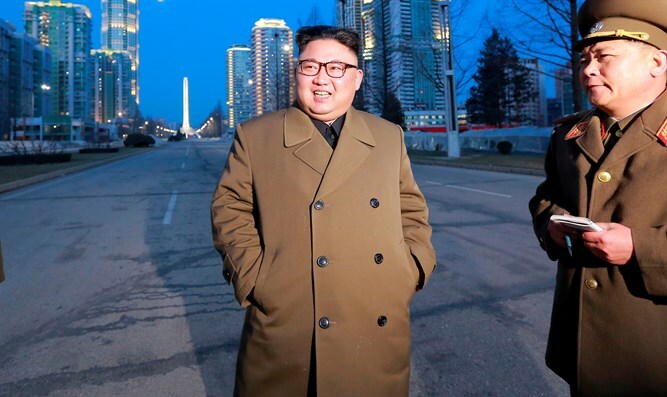 One source claims that according to a leaked document, the US plan includes disguising a small building opposite Kim's primary office in the DPRK building. The disguise would turn the smaller building into a "Pizza Hut" selling both normal and poisoned pizzas. According to a South Korean military official, the US will work under South Korean command. US special agents will form a special brigade under South Korean command, which the natives would tailor to meet the area's unique requirements. Speaking about the possibility of eliminating Kim, US Navy Admiral James Stavridis, who also served as NATO Supreme Allied Commander Europe, said, "decapitation is always a tempting strategy when you're faced with a highly unpredictable and highly dangerous leader. "The question you have to ask yourself is what happens the day after you decapitate? I think that in North Korea, it's an enormous unknown." In March, UN Ambassador Nikki Haley warned that the US had not ruled out military action as an option to eliminate North Korea as a nuclear threat. Trump also told reporters he would "certainly be prepared to act alone against North Korea" but also said he "thinks China will want to be stepping up." The White House did not comment on the leaks, but sources in US President Donald Trump's administration said the president is outraged by the leak, which is purportedly caused by those who were previously loyal to former US President Barack Obama.